Defeating Alexander Rosdahl in the finals, Pascal Vieren proved the ultimate master of Ultimate Masters Limited! The hashtag for Grand Prix Prague Is #MTGPrague. Join the conversation. 2,500 players had been in the running initially, making Grand Prix Prague the third largest Magic tournament in European history so far. At the end of the first day, after nine rounds of Ultimate Masters Sealed, this number was down to 449. Then it was time to draft, and six more rounds gave us a Top 8. The most famous of the eight was Pro Tour Rivals of Ixalan semifinalist Pascal Vieren, for whom this marked his fourth Grand Prix Top 8. And Vieren also proved the ultimate master throughout the playoffs, as his masterpiece of a deck went all the way. This included an appropriately epic final game against Alexander Rosdahl, in which Vieren was on the brink of losing to decking. But he masterfully navigated his way out of it: Artisan of Kozilek returned Aethersnipe from the graveyard, which returned Shriekmaw to his hand, which then returned the sideboarded Kozilek, Butcher of Truth and all the rest of Vieren's graveyard to his library by killing it. It was a glorious end to an equally glorious event. 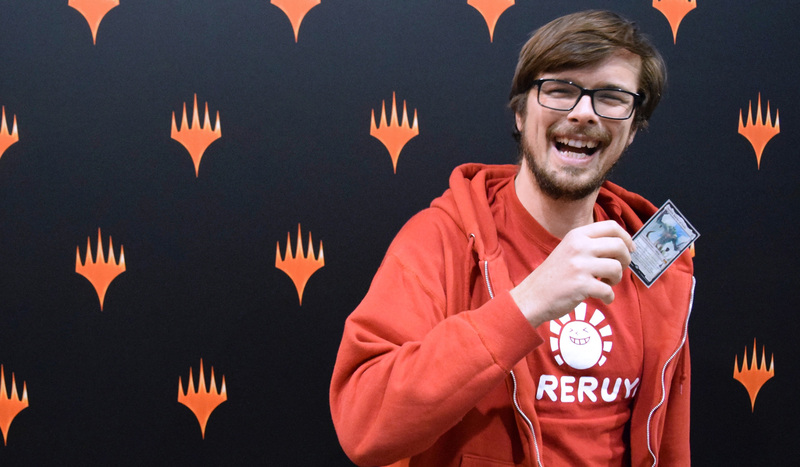 Congratulations to Pascal Vieren, champion of Grand Prix Prague 2019! Grand Prix Prague's first day was one for the history books already. 2,500 players made for the third largest tournament in European history, Ultimate Masters Limited proved as cool and crazy as expected, and in the end seven very worthy competitors stood atop the standings with perfect records of 9-0: Pascal Vieren, Alexander Rosdahl, Thoralf Severin, Ondrej Smetana, Kazutaka Naide, Arne Huschenbeth, and Marc Tobiasch. With the stage set like that, Day 2 was promising even greater things. Tune back in then, for the ultimate Ultimate Masters experience in Booster Draft and for the epic conclusion of Grand Prix Prague 2019!